Some things you can always count on. Spring will follow winter, day will turn to night, and new Mac users will wonder how in the heck they’re supposed to right click without a right mouse button. Does that sound like a familiar problem? Whether you’re using a MacBook trackpad or one of Apple’s accessories, we’ve got you covered. 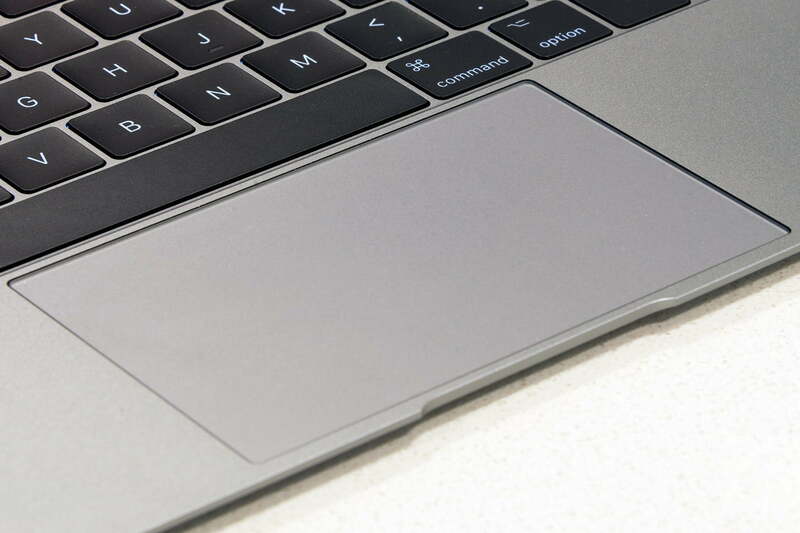 Let’s start with the most common (and confusing) method of clicking: The MacBook’s trackpad. The multi-touch trackpad is sensitive, but it doesn’t include any obvious tells or buttons for left/right clicking, which can confuse Mac newbies. What’s worse, sometimes the rules changes for newer MacBooks. Fortunately, there are a few easy ways to right-click no matter your preferences. All of these techniques also work for Apple’s Magic Trackpad, which is nearly identical to the MacBook version. The first option is the easiest to use, especially if you’re coming from Windows. Just press the “control” key, and tap or click anywhere on the trackpad. The control key can be found on the bottom left corner of the MacBook keyboard, sandwiched between the function and option keys. As long as it’s held down, the control key switches the trackpad to right-click mode, so just keep your finger pressed to keep right-clicking. Next is the one MacBook users use most, due to its ease of access. Because there are no individual buttons on a MacBook trackpad, you’ll need to perform a two-finger click to access right-click functionality. With your index finger resting on the center of the trackpad, click down with your middle finger. It works with other fingers, but this combination is the most accurate and consistent. Once clicked, it should bring up your right-click options immediately, regardless of where on the trackpad you click. If it isn’t working, you’ll probably need to do some adjusting in System Preferences, which we explain below. Step 1: Head over to our friend System Preferences, which should be in your menu bar. This time, look for “Trackpad”, which should be right by the Mouse option. Select it and may sure that you are in the Point & Click tab. Step 2: Look for “Secondary click,” and make sure that it is selected. Then choose the dropdown menu and take a look at your options. Step 3: You should see an option for tapping on the trackpad with two fingers, or tapping on the right/left lower sides to start a right click. We’re fans of the two-finger approach, which is easy to learn and avoids those problematic times when you accidentally brush against the bottom of the trackpad to start a random right-click. However, feel free to experiment with all options to see which one you like the most. Note: Newer Macs from 2015 or afterward use what Apple calls the “Force Touch” trackpad. This allows you to open new options based on how hard you press on the trackpad. That includes a Force Click, which happens when you press down firmly with one finger, and this may seem like a natural option for right-clicking. However, Apple prefers to reserve the Force Click for other features, like previews and editing options. What Force Click does varies by app. It can never fully take the place of a right-click function, but we suggest you look at its features to see if you can use it to supplement other activities and make your work easier. Like the trackpad, the Apple mouse isn’t clearly divided into separate click zones and sometimes doesn’t support right-clicking out of the box, which can be frustrating. If you’re a little bewildered by the Apple mouse rules, don’t worry! There are customization options to set the mouse how you prefer it. Let’s look at your options. Like with the trackpad, just press the “control” key, and then click your mouse with one finger. This is usually the default method of right-clicking with an Apple mouse. The control key, when held down, switches the mouse to right-click mode. We know that this sounds a little weird, but some people actually prefer this approach. Try using this option for a little while and see what you think. Step 1: Head to “System Preferences” in the menu bar, and then select “Mouse.” For the average Apple mouse, this should open up a window with two tabs. Make sure you are in the “Point & Click” tab, and look for an option that says “Secondary Click.” This option should be check-marked. Step 2: There is a dropdown immediately below that selection that allows you to set the secondary click to the right or left side of the mouse. You probably want to choose the right side — Apple has little videos that show you what the current effects are if this gets confusing. Step 3: When done, exit out and experiment with your mouse! Unfortunately, there’s no option to directly control the sensitivity of these left/right clicks. We suggest you experiment a little and see if the Apple mouse is working for you or if you need to consider a replacement. After all, there are plenty of alternatives if you want to look outside of Apple hardware. Now that you’re familiar with your Mac’s system preferences, consider using these tips to speed up your Mac as a whole.